The suppliers listed below are our most popular suppliers of headwear. If you cannot locate what you are looking for, or you would rather have us do the searching for you,e, or if you would rather have us do the searching for you, please contact me. Since their inception in 1983, AJM has not changed their founding principles and beliefs: To provide quality products, at the best possible value, combined with quick, efficient and courteous service. Founded in 1989, KNP has since grown and has added offices located in Vancouver and Niagara Falls whilst having our headquarters stationed in Toronto. They serve customers throughout North America. 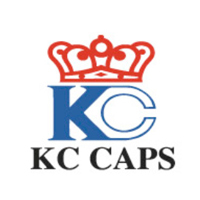 Since 1991, H & C Headwear Inc (KC Caps) has been the headwear industry leader not only in quality, but in new, unique styles and fashions at affordable prices. The suppliers listed below represent only a handful of the suppliers we work with. They are our most popular lines and cover everything from t-shirts, golf shirts, dress shirts, jackets, vests, headwear and much more. If you cannot find exactly what you are looking for, or do not see that specific line that you like, or if you would rather have us do the searching for you, please contact me. From pens to USB drives, from travel mugs to gold balls, we have the latest and greatest available through our relationships with some of the biggest promotional product suppliers. If you cannot find exactly what you are looking for, or do not see that specific line that you like, or if you would rather have us do the searching for you, please contact me. Trade shows, trinkets, and inexpensive giveaways all the way up to executive gifts! Every type of stress item you can imagine, compressed t-shirts, some specialized pens, etc. 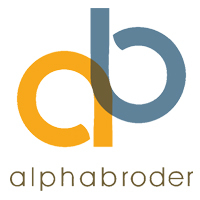 Feel free to search our product database. If you find something you like please feel free to add it to your “Quote Cart” and we will be sure to contact you with further information. Appointments, Ideas and great selections. It's Just What Syner G Does.